Make Sure to Have Your Fruits and Veggies! 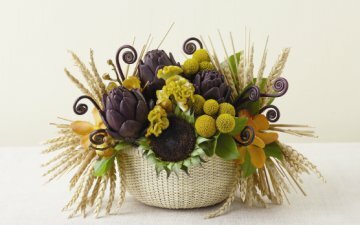 Looking for a unique centerpiece idea? 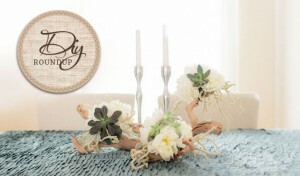 How about adding some healthy edibles into your wedding decor! 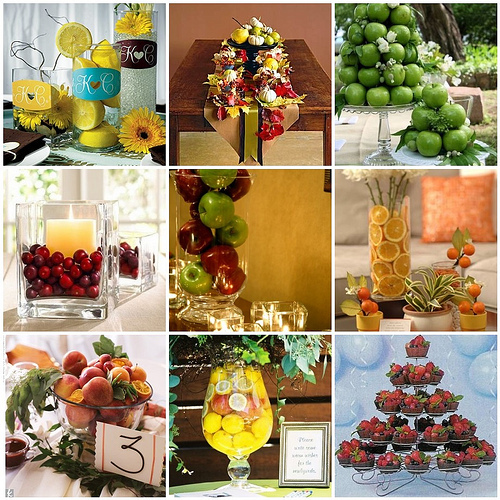 Rather than going with a traditional flower or candle centerpiece, surprise your guests by using fruits or vegetables to tie in with your wedding colors. 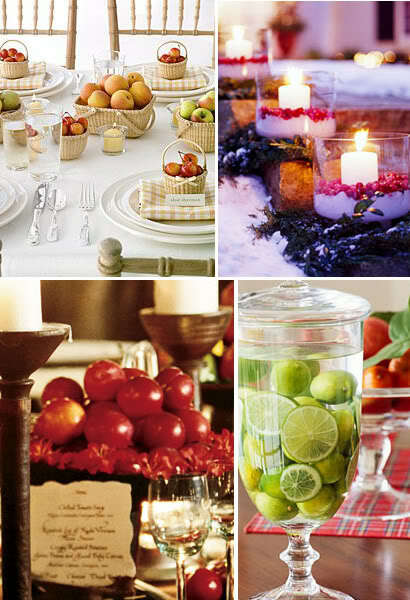 Most fruit is brightly colored and festive. 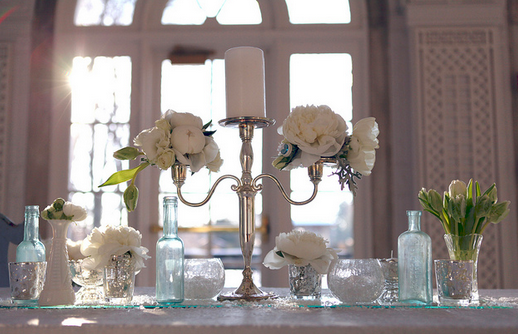 Perfect for an inviting centerpiece! 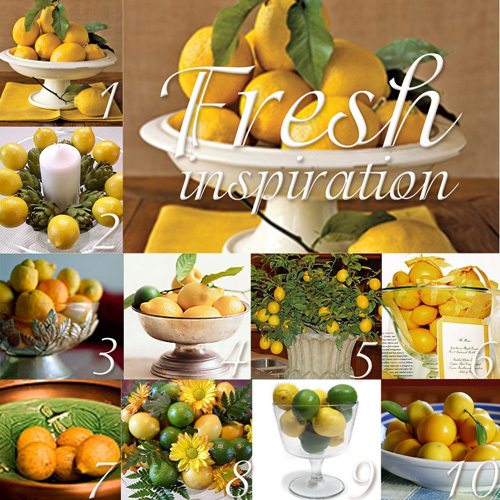 You could go simple and fill a bowl with fruit. 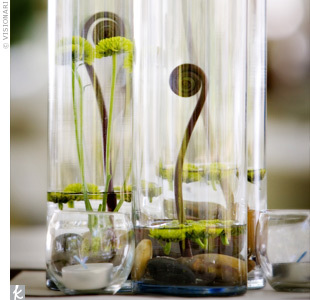 Or, you could create arrangements and include other elements in the centerpiece. 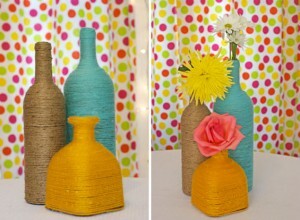 There are so many different vases, baskets, containers and fillers out there – you can achieve a different look with each! 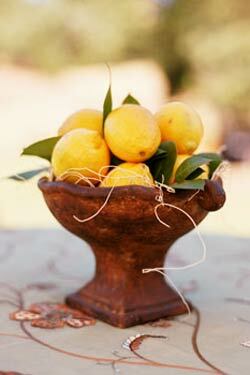 There are endless combinations when it comes to using fruit in your centerpieces. 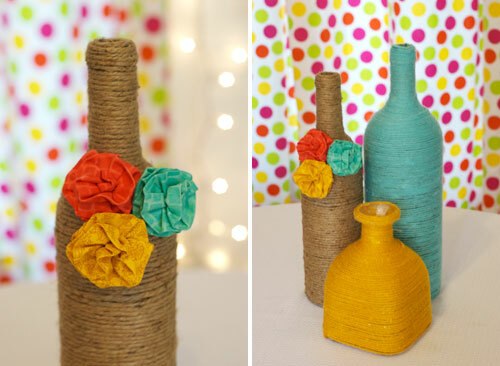 If used properly, they can compliment your wedding colors or theme nicely. 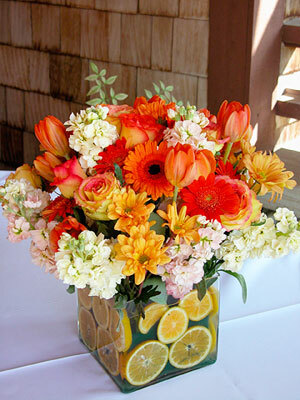 With so many color combos, fruit can easily fit into a wedding during any season! 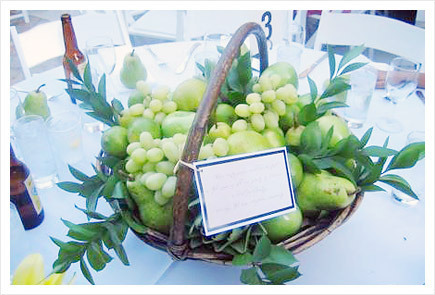 If you like the idea of using fruit but can’t let go of the traditional flower centerpieces, that’s fine! 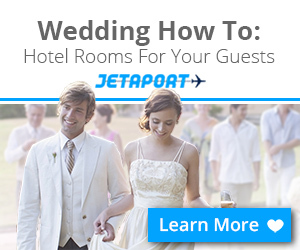 You can use both. 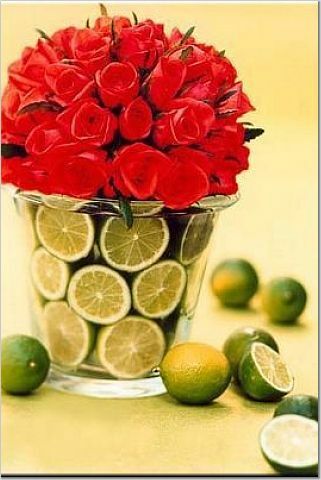 I love the look flowers in a clear vase filled with fresh cut fruit. 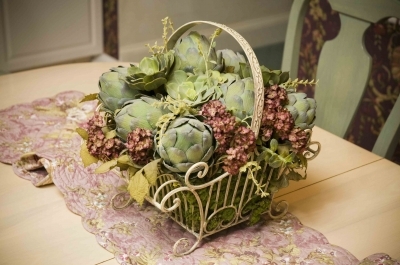 While many fruits are brightly colored, vegetables are often more subtle, earthy colors. 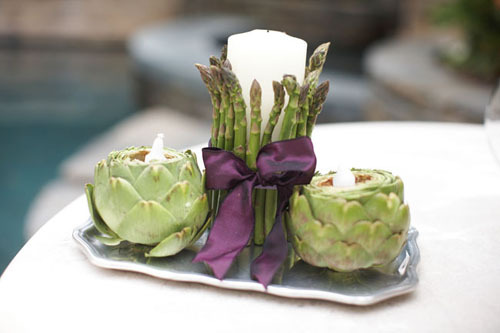 For example … asparagus, artichokes and fiddle heads are becoming popular as veggie centerpiece choices in weddings. 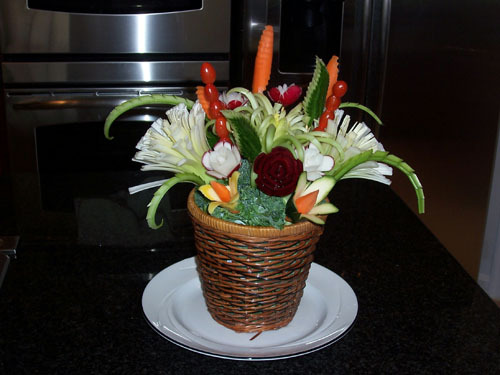 If you do want a bright centerpiece that has some veggies in it … that can be done too! 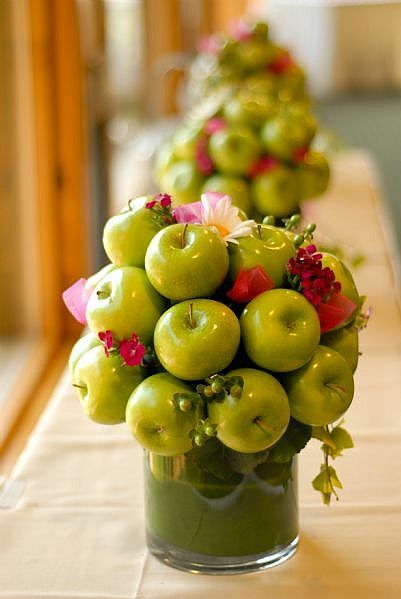 Whatever your wedding colors are … be creative with your centerpieces by adding fruits and veggies! !